Using Gradle as a build tool here we just need to add the two dependencies for neo4j-ogm-core and neo4j-org-embedded-driver to our project’s build.gradle file. In addition I have added a task to execute a selected Java main class via command-line. 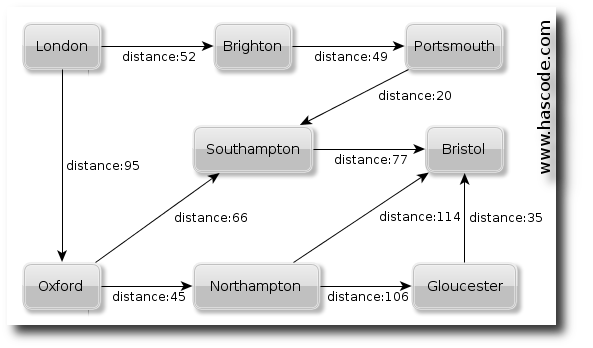 In our first example, we’re re-using the train timetable example from my previous tutorial “Neo4j Graph Database Tutorial: How to build a Route Planner and other Examples“. 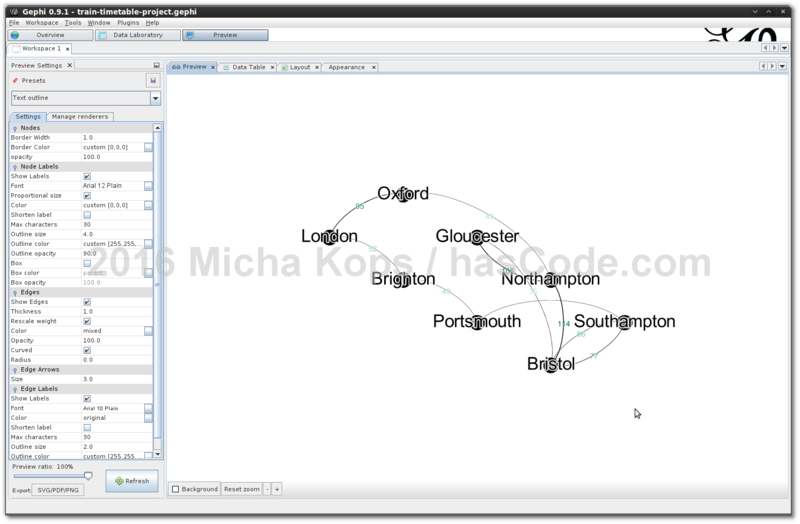 In this example, we have a directed graph where the nodes are train-stations and the edges are the connections between these stations with a property marking the distance between two nodes. To transfer this graph to a Java domain model, we need to create two specific entities .. for train-stations and their connections. This is our train-station entity. Every entity needs to have a primary key. We may use an id attribute of type Long here or otherwise mark our primary key with @GraphId. 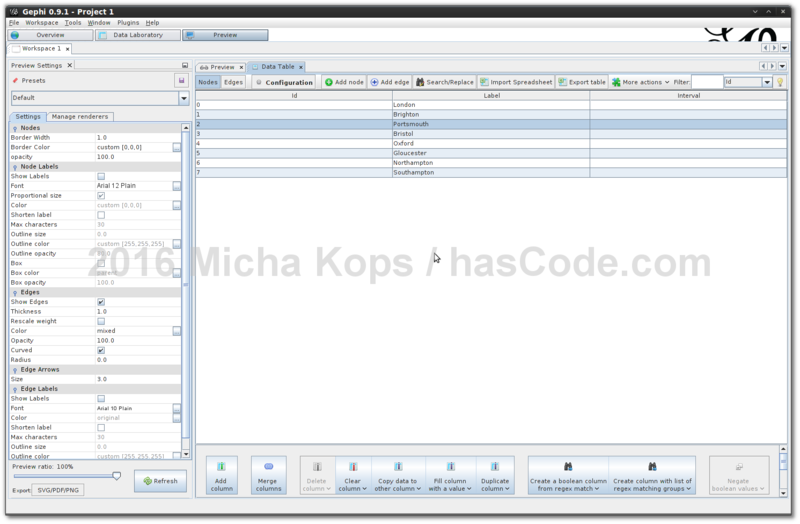 // hashCode, equals, toString, getter/setter, no-arg constructor ommitted.. This entity represents a connection between to stations and it has an attribute distance that we need to calculate the shortest route between two stations. Starting and ending stations are annotated with @StartNode and @EndNode and the class itself is marked as a relationship entity with @RelationshipEntity. We need to tell Neo4j which driver to use, either HTTP Driver or the Embedded Driver. 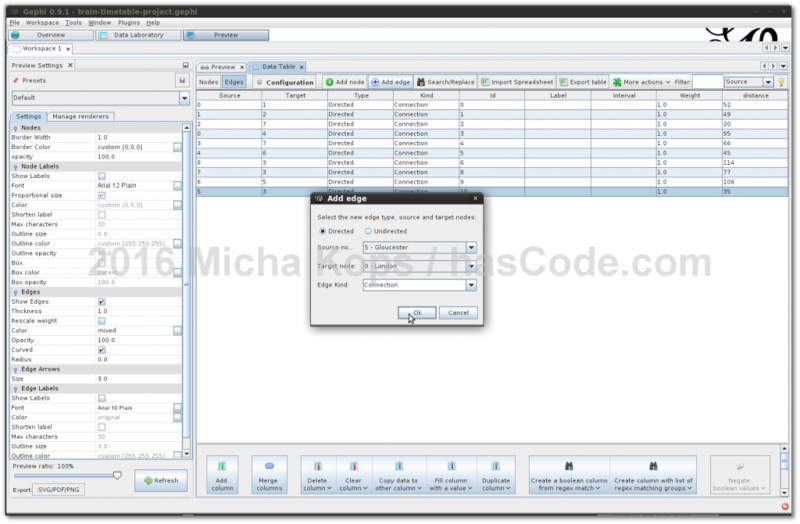 For the following examples, we’ll be using the embedded driver without a persistent data store. This is our Cypher query to calculate the shortest path between two train-stations using the distance attribute of the connection relation. For more details about the features and possibilities of the Cypher query language, please feel free to take a closer look at their excellent documentation here. searching for the shortest route from London to Bristol..
searching for the shortest route from London to Southampton.. 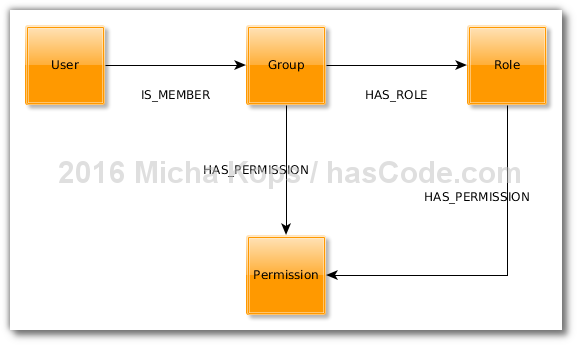 Similar to the example in my Neo4j tutorial “How to build a route planner and other examples” we’re creating a complex permission system consisting of users, groups, roles and permissions. Users may be member of a group, group may have permissions or may be assigned to roles, roles may have permissions, too. So we need to model three simple entities: users, groups, roles and permissions. As our relations do not have any special attributes, we don’t need to create a special class for our relations here. This is our user entity, a user has ..
Gephi is a nice tool to explore and visualize graph information. It can be obtained for free from the project’s website here. There is a nice introduction written by Brian Sarnacki “The complete n00b’s Guide ot Gephi“. This entry was posted on Monday, July 18th, 2016 at 4:36 pm	and is filed under Java. You can follow any responses to this entry through the RSS 2.0 feed. You can skip to the end and leave a response. Pinging is currently not allowed.